Chambers of commerce making up the General Council of the International Chamber of Commerce’s (ICC) World Chambers Federation (WCF) have elected Hamad Buamim as incoming WCF Chair. Mr Buamim, who is President and CEO of the Dubai Chamber of Commerce and Industry, has served as WCF Deputy Chair since 2013. He will take over the role from Peter Mihok in January 2019. Mr Denton also thanked Mr Mihok for his excellent leadership and years of dedication to the work of WCF and the global chamber network. Prior to taking over as WCF Chair in 2013, Mr Mihok had served as a WCF Vice-Chair from 2002 and Deputy Chair since 2010. He was previously Vice-President of Eurochambres, a member of the Economic Council of the Government of the Slovak Republic and an advisor to the country’s president. In addition to his role as President and CEO of Dubai Chamber, Mr Buamim is involved in a number of Dubai’s leading organisations. 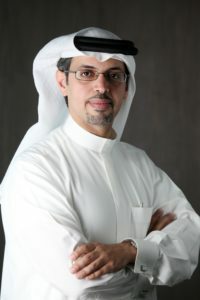 He is a Board Member of the UAE Central Bank, Dubai World, and Dubai International Financial Centre. He acts as Chairman of National General Insurance and Hawkamah, the Institute of Corporate Governance. Previously, he served as Chairman of Emirates Financial Services, and Emirates NBD Capital and as Board Member of Emirates NBD and Network International. ICC’s World Chambers Federation unites and represents a global network of chambers of commerce. As WCF Chair, Mr Buamim will undertake a three-year mandate to strengthen the global network of chambers and reinforce the role chambers play in their respective communities.